Until 1977, regulations required farmers to properly pack size, and label their fresh fruits, nuts, and vegetables in standard containers to transport and sell in markets anywhere other than the farm site. Certified farmers' markets in 1977, by Department regulations, exempted farmers from packing, sizing, and labeling requirements. The Direct marketing of agricultural products through CFMs benefits the agricultural community and consumers. CFMs provide a flexible marketing alternative without disrupting other produce marketing systems. The high quality and fresh produce brought to the CFMs by its’ producers creates a diverse market and also provides the consumer with opportunity to meet the farmer and learn how their food supply is produced. CFMs provide a great opportunity for small farmers to market their products without the added expenses of commercial preparation. This increases their net income and makes it possible for them to stay in business. There are approximately 800 certified farmers’ markets and approximately 2,500 certified producers. Of these markets, 50% are year-round markets and the balance is seasonal. In a typical year, the majority of the seasonal markets operate from April through October of each year. If you are interested in opening a Certified Farmers Market, or in becoming a Certified Producer, please contact the County Agricultural Commissioner’s Office in which you produce your commodity. View contact information for County Agricultural Commissioners. The passage of Assembly Bill 224 (Ch. 404, Stats. 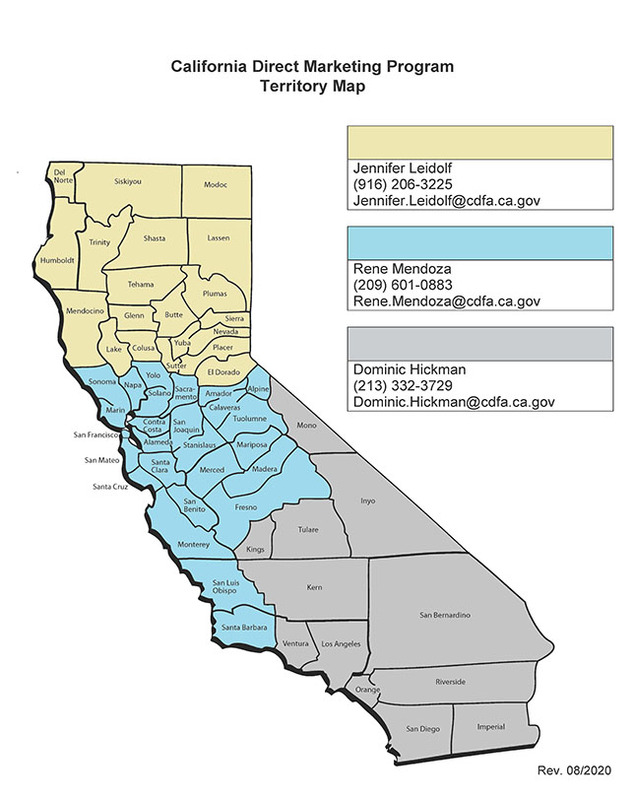 Of 2013), now Sections 47060 through 47062 of the California Food and Agricultural Code, authorized the Department to adopt regulations establishing a registration program for producers of Community Supported Agriculture (CSAs). It also required the Department, in consultation with the State Department of Public Health and local health offices, to post small farm food safety guidelines. These guidelines include safe production, processing, and handling of both non-potentially and potentially hazardous foods. Please see links below for these guidelines. For additional information on CSA producer responsibilities and general information see “related links” below. Regarding more details on processed products please go to the California Department of Public Health’s website.